An F1 driver giving up a bit of their time doesn’t take a whole lot of effort but it can mean a ton to their fans. 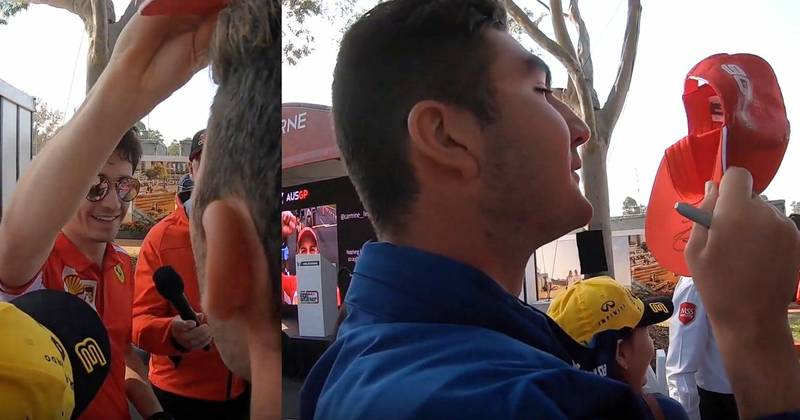 That’s what happened in Melbourne - this fan apparently turned up to see Leclerc every day of the weekend and was promised his hat. Come Sunday morning, Charles kept his end of the bargain and gave the guy a memento - and a memory - that he’ll never forget. His reaction says it all!